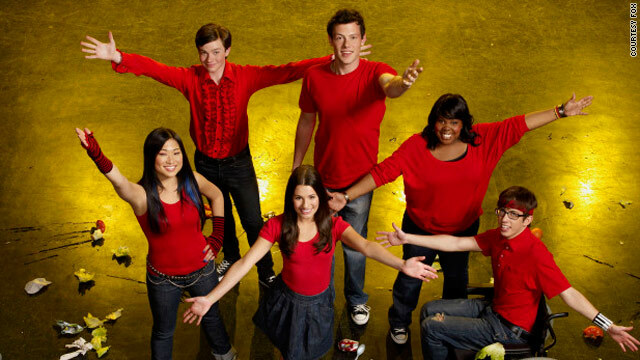 Big name guests coming to 'Glee'? The new season of "Glee" may bring more glitz along with it, boasting big names as possible guests. (The Frisky) -- I'm counting down the days until April 13, 2010, aka the day my new television guilty pleasure "Glee" returns with new episodes. Here are some more possible "Glee" guest appearances that we're stoked about. Jennifer Lopez. Ryan Murphy spilled the beans that he's been having secret meetings with J.Lo. Murphy wants Jenny from the block to appear as a cafeteria lady. I'll take a dish of that! Madonna. So we already know that the gleeks will be doing a Madonna tribute episode next season. But did you know that they are trying to get Madge to make an appearance? Imagine the endless possibilities. Olivia Newton-John. Picture this: Olivia and Jane Lynch doing a "gleeky" version of "Let's Get Physical." I'm laughing already. Adam Lambert. Glambert may be on his way to the silver screen again, but more PG-13 this time, as Kurt's gay mentor. Duet! Duet!